Home : Willow Brook News : Willow Brook on the Ski Slopes! Willow Brook on the Ski Slopes! 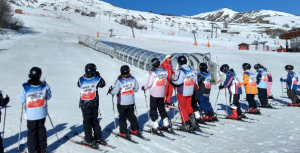 We are tremendously proud of our intrepid staff and pupils who are currently on the third Willow Brook Ski Trip to Le Corbier, in the French Alps. Hi everyone! 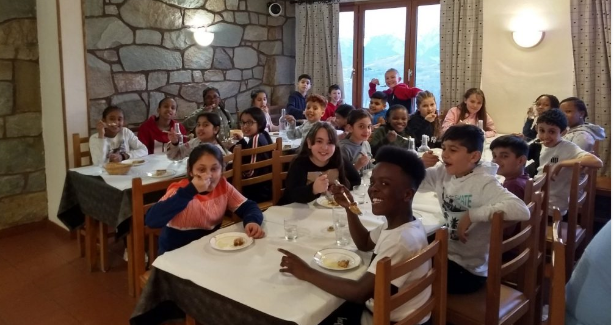 We have arrived safely and without incident to Le Corbier, ready to start our ski adventures. Our coach journey was very long, but we had a great time seeing the white cliffs of Dover, chatting with each other and watching a few films along the way. At the ferry, a few of us had our bags checked by border control, which was very exciting! We had to wait a while before our ferry was ready to leave, so we were very tired and went straight to sleep once we got back on the coach. It was the first time many of us had been on a ferry, and we definitely enjoyed the experience. We kept ourselves entertained with card games, checkers and a few games of Ninja. It was a great testament to all you parents when we got complimented on our brilliant behaviour on board by a nice couple who were sat near us. Today we woke up bright and early for a yummy breakfast ready for the eventful day ahead. 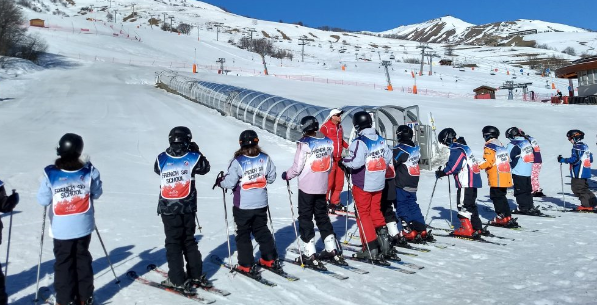 We collected our ski equipment and made our way over to meet our fantastic instructors; Michael and Fred (check the video page). They taught us how to balance and how to stop safely, but it wasn’t as easy as it sounds! World Book Day @ Willow Brook Willow Brook Parents and Pupils Improving the Air for All!